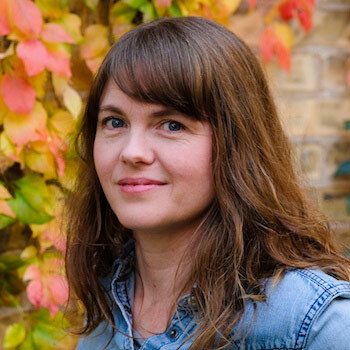 Emily Urquhart is an author of creative nonfiction and narrative journalism based in Kitchener, Ontario. She is the author of Beyond the Pale: Folklore, Family, and the History of Our Hidden Genes (HarperCollins 2015), a Globe & Mail Best Book and finalist for several other national awards. Emily’s work has also appeared in publications such as Azure, Hakai, The Walrus, Flare, and Chatelaine. Emily also holds a PhD in Folklore from Memorial University of Newfoundland, and leads the Podcast Club at the Kitchener Public Library. During her time as Writer-in-Residence, she completed a draft of a collection of essays, as well as research for her next book. Ashley Little writes short fiction and novels for teens and adults. She is the author of PRICK: Confessions of a Tattoo Artist (Tightrope, 2011), The New Normal (Orca, 2013), Anatomy of a Girl Gang (Arsenal Pulp Press, 2013), which won the Ethel Wilson Fiction Prize, and Niagara Motel (Arsenal Pulp Press), which was released in October 2016. While at Laurier, Little was working on two novels: Confessions of a Teenage Leper (forthcoming in 2018), and BIG ME, a story of a teenage giant. Little has also served as Writer-in-Residence for the Vancouver Public Library and the Alexandra Writers Centre Society (Calgary). She currently resides in the Okanagan Valley. Taylor is the award-winning author of 27 books, including adult and young-adult (YA) fiction as well as plays and essays. Taylor has also worked as the writer and director for documentary films and has written for television, principally for APTN’s Mixed Blessings. He has been twice nominated for a Governor General’s Award (once for fiction and once for drama), and has won a Chalmers Award for Toronto at Dreamer’s Rock in 1992, a Dora Mavor Moore Award for Only Drunks and Children Tell the Truth in 1996, an Independent Publisher Book Award for his YA fiction The Night Wanderer in 2008, as well as the Ontario Premier’s Award for Creative Arts and Design in 2010 and the Queen Elizabeth Diamond Jubilee Award in 2012. Sonnet L’Abbé is the author of two collections of poetry, A Strange Relief and Killarnoe (both published by McClelland and Stewart). She is also a poetry critic and the 2014 guest editor of Best Canadian Poetry. In 2000, she won the Bronwen Wallace Award for most promising writer under the age of 35. Widely respected in theatrical circles, Murphy is an internationally acclaimed author of 10 plays, including the new plays The Goodbye Bird – which Murphy created during her 2011-2012 residency with Finborough Theatre in London, UK – and Armstrong’s War, which premiered at Vancouver’s Arts Club theatre in 2013. Her screenplays include the Genie-nominated Termini Station, and her films have played to audiences at film festivals in Germany and France, as well as at the Toronto International Film Festival. Murphy won a Governor General’s Award in 2007 for her play The December Man. Andrew Westoll is a primatologist and an award-winning narrative journalist. He is the author of The Riverbones and The Chimps of Fauna Sanctuary: A Canadian Story of Resilience and Recovery. The Chimps of Fauna Sanctuary won the 2012 Charles Taylor Prize, one of Canada’s most prestigious nonfiction book prizes. The book was shortlisted for the Edna Staebler Award for Creative Non-Fiction and the BC National Award for Canadian Non-Fiction, and named a book of the year by The Globe and Mail, Amazon.ca, Quill & Quire and CTV’s Canada AM.